I shall now further continue with the Tintin adventure, “Tintin in the Land of Soviets”. 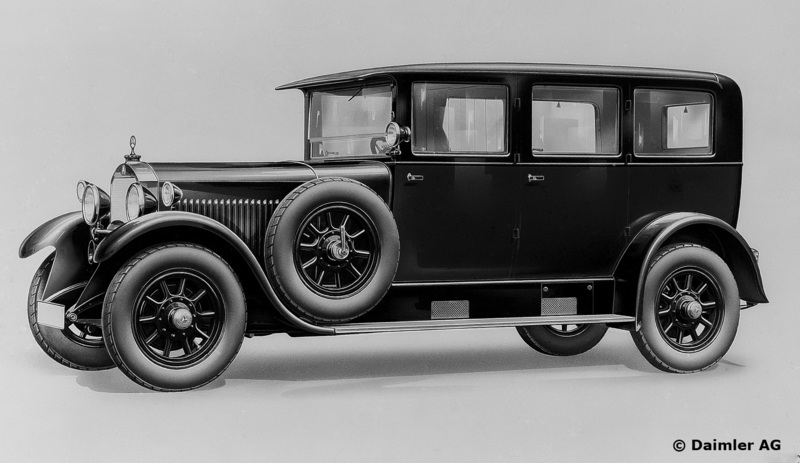 The next car depicted in this adventure is the Mercedes-Benz Type 12/55 Pullman Limousine. 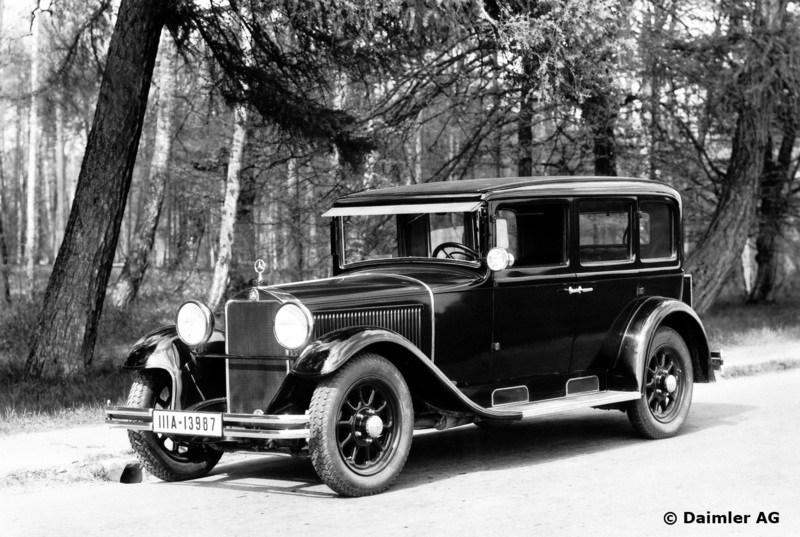 This car was introduced by Daimler Benz in 1926 during the Berlin Motor Show and along with the ‘Stuttgart’, it was the first car to bear the name ‘ Mercedes-Benz’ . This car was also developed under the guidance of Ferdinand Porsche. Internally, the car was known as W03. Here again, 12 represented the Tax Horse Power and 55 the engine power claimed by the manufacturer. I have already discussed the Tax Horse Power in my post on Mercedes 15/70/100 PS. 4 Door Pullman Limousine, which is the car shown in “Tintin in the Land of Soviets”. Bodies for the Pullman Limousines were built by Mannheim. It was considered a good car for touring and long distance driving including driving through the Alps. This car had a 2968 cc (101 cu-in) inline six cylinder engine with side valves. Its maximum power output was 55 PS at 3200 rpm. The crankcase was cast from light alloy and the cylinder block and cylinder head were of cast iron. Initially this car had a high-voltage magneto ignition which was replaced by battery ignition in 1927.This engine could propel the car to a maximum speed of 100 km/h (62 mph). The car had a 4 speed gear box which transmitted power to the rear axle. Rigid axles were suspended using elliptical leaf springs. Stopping power was provided by brakes on all four wheels which were applied using mechanical rod linkages. 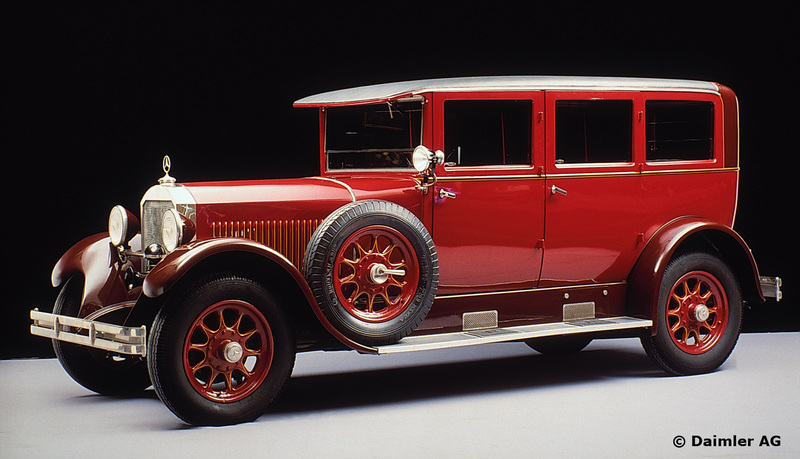 These cars were built from 1926 to 1928 and a total of 3876 cars were built. This period was a period of economic turmoil in Germany which was battling the repercussions of imposition of tough conditions on the country after World War I. As a result, though the car was very comfortable, a 10,000 Marks car from a comparatively new manufacturer was considered too expensive and large and sales were poor. It sold only 205 cars in 1926. 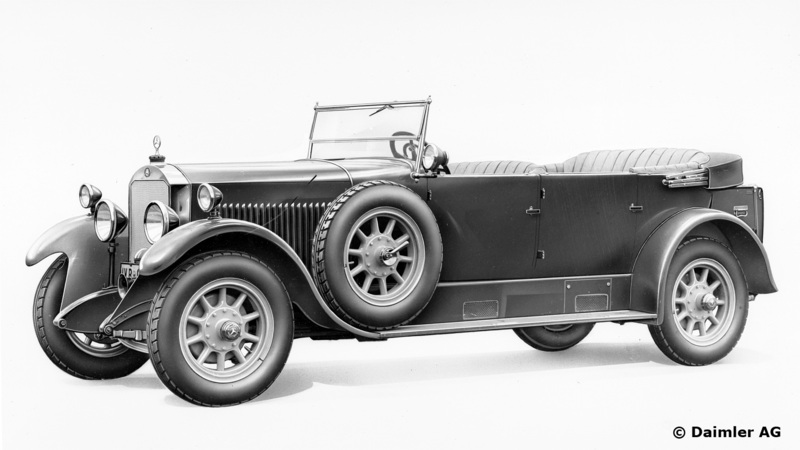 As a result the car was relaunched in 1929 as the Mannheim, after it was restyled to look more compact. Probably not correctly identified. Note the 2 Mercedes stars side by side on the radiator in the drawing, indicating a V-shaped radiator of a Mercedes before merger with Daimler, like the 15/75/100 has it. 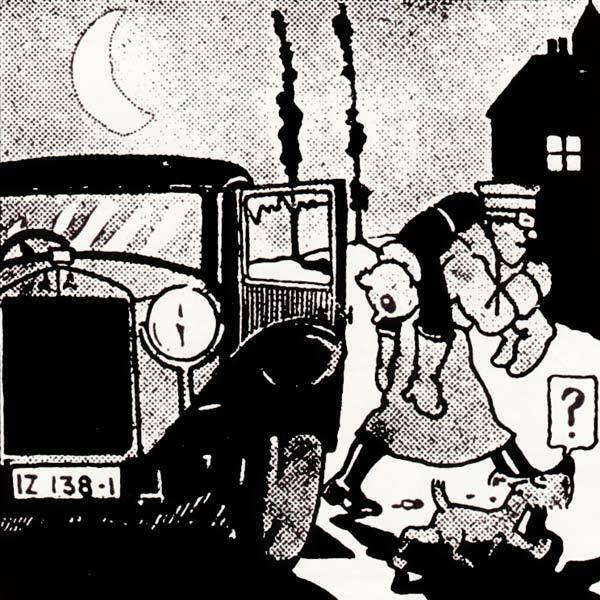 Those radiators were used between 1910 and 1924, and without a side view of the car it is impossible to exactly identify the model, e.g. 16/50 (Knight), 38/70, 28/95 are all big enough for a limousine body as drawn. The flat radiator of the model ‘Stuttgart’ doesn’t have these 2 (embossed) stars above the radiator mesh, but a single badge with the Benz laurel surrounding the Mercedes star, as it is a post-merger car.